This is a freshly released DIY headphone amp so I'm trying to spread the love outside of DIYAudio. I have no vested interest other than spreading the word on a new amp to build. Wayne Colburn of Pass Labs was kind enough to create and share the WHAMMY DIY headphone amp circuit , standing for Wayne' Headphone Amplifier Must Make Yourself. It's a simple build, no need to match parts / make adjustments, so it's perfect for the budding DIY builder. It's also inexpensive. The PCB, parts and chassis should be under $200 without much effort. 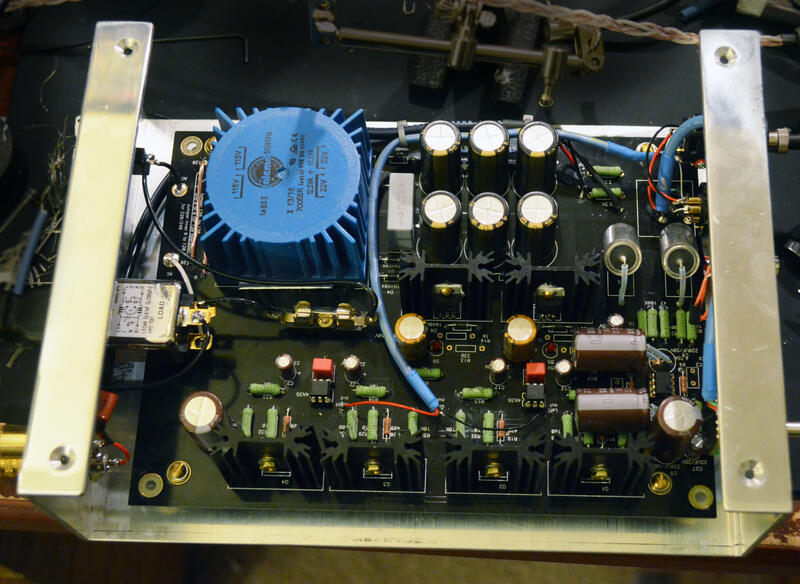 Jim Tiemann aka 6L6 of DIYAudio has been kind enough to coordinate the project and has been instrumental in making it accessible. I'll be building one myself and will document within this thread. If you need assistance approaching the build or have questions, feel free to reach out. I'll do my best to help. daniellistens, insidious meme, Gaspasser and 13 others like this. I was just reading about this too! I have enough projects as is but I thought about building this out of curiosity and releasing it to the loaner program. Ooh nice! I'm interested too. I have a souped up First Watt F7 that I'm mostly using for speakers these days so I could use a new headphone amp. Hoping this might be suitable for a first time DIY builder (I've only done cables) . I love Pass amps. Still have and Aleph that my brother expertly built many years ago. Would be very interested to hear listening impressions. Interesting project. Looking forward to some impressions, could use a new diy project. No real need for a new amp though. But that hasn't stopped me before. This is REALLY cool with silly easy step-by-step illustrated instructions for dumb dumbs like me. Haha yeah I'm right there with you, I need another project like a hole in the head. I really love Pass Labs gear though and figured this amp would not only sound great but be beginner friendly, so people a little green with a soldering iron could get their feet wet. 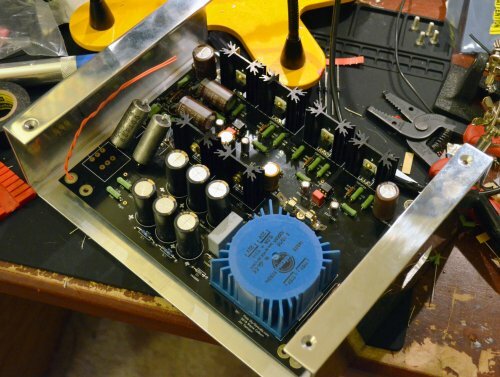 Pete Millett's NuHybrid was likely the last easily-approachable DIY headphone amp, but requires thoughtful casework to ensure the Korg NuTube isn't subject to much exterior vibration. The WHAMMY should be relatively plug and play if using the suggested Hammond case as long as the builder can drill a few holes. taisserroots, Elmer Danilovich, Clemmaster and 20 others like this. I just read the DIYAudio thread. Sweet little amp! I wonder how it sounds compared to a Magni3. The plug, power switch and RCA inputs appear to be chassis mount, which is actually a good thing when it comes to DIY. Gives you more options for the enclosure and you don't have to be super precise with drilling holes. I am working on another project where everything is PCB mounted and not only do the panels require precise drilling, but the enclosure needs to be an exact, non-standard length. It basically means I have to go with a CNC enclosure. As annoying as the O2 amp is for having power and inputs through the front, it greatly simplifies construction and assembly. highflyin9 and maverickronin like this. I haven’t looked at the WHAMMY in particular, but I know that Pass Labs often doesn’t put a power switch on their products. My Pass X2.5 preamp doesn’t have a power switch, and in the owner’s manual, Nelson Pass says something about his preference for leaving the unit running 24/7 because there’s no practical benefit to turning it off. I personally like turning stuff off, especially DIY stuff. Wouldn't want a tube, cap or resistor blowing while I'm not at home I have a couple of tube buffers from Musical Fidelity with no switches so I just added them, better safe than sorry if the fuse doesn't blow. I'd imagine the Pass Labs gear is built to the hilt with fuses between sections so that would add to the safety factor. As CSpirou said, having the freedom to mount parts where you want them gives you a lot more freedom in chassis selection and you don't have to drill holes with CNC precision. With the WHAMMY, you can choose where you put the headphone output, power switch, fuse, IEC, RCAs, etc. You can also run wires to the pot if desired. I'm shoehorning my unit into a perfectly-sized chassis, but I needed to arrange these items very specifically to make it all work without bumping into things and allowing room for a discrete op-amp if desired. As far as a comparo to other amps, I'd imagine the unit will compare favorably to commercial amps up to $1K given the soundness of the circuit design. There are many cost cutting compromises and heavy markups in this segment, and there are many amps out there with poor circuit design that would be shot down the moment the schematic is revealed. I've been victim to buying inferior circuits in the past, that's why I only DIY now The WHAMMY is a very well thought out circuit so it's a safe investment and a tremendous value. Cryptowolf and FlySweep like this. The Pass power amp I owned had a main power on the back as shown above, putting the unit in standby keeping all the caps charged. A small front switch then turned it fully 'on'. Put my order in for a PCB. Really looking forward to the inevitable learning curve from building cables to this project. 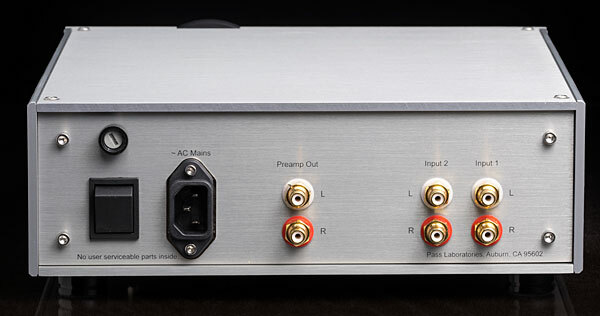 @highflyin9 do you reckon this amp is good for driving a planar like the HEK v2 usefully? Great Pedalhead! Yes it has plenty of power. At about the 25 min mark on the video Wayne shows the power ratings. Looks like it can get up to 350-400mW before distorting, which is plenty for nearly all headphones... the only exceptions being the K1000, HE6 and Susvara. pedalhead, JK47 and Cspirou like this. Luckbad, dubiousmike, cskippy and 10 others like this. Nice! How does it sound to you?